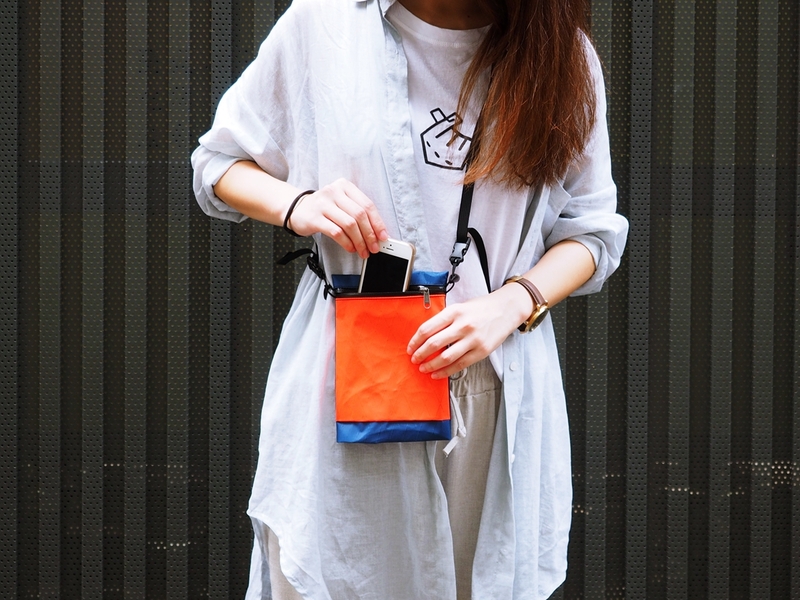 SURFACE MINI is a multifuctional pouch, adopting high-end material X-PAC as main fabric. 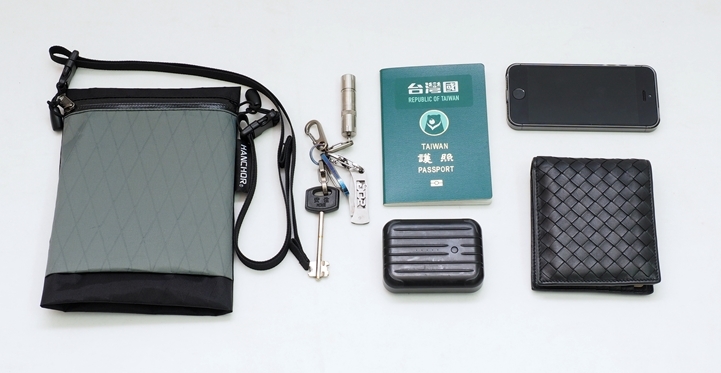 Hold your personal stuff or valuables for daily usage or travelling. 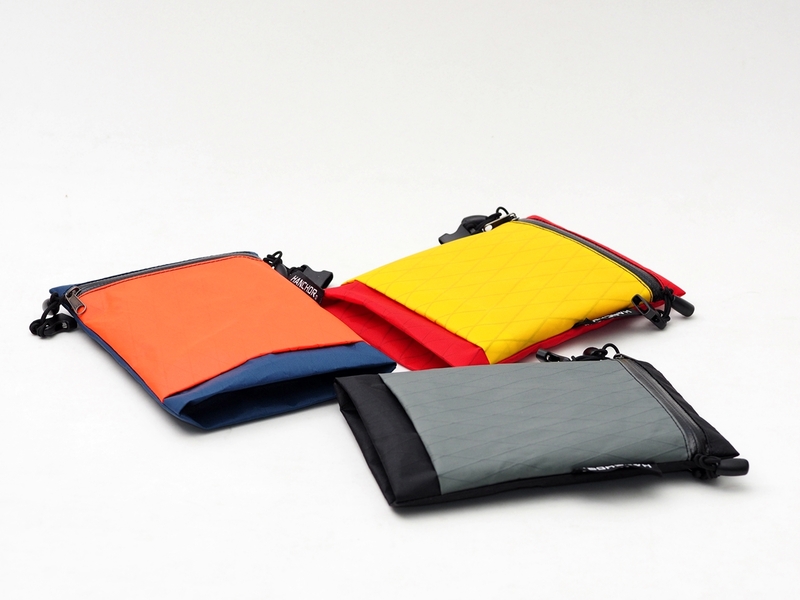 • Made from X-Pac VX21, a laminated fabric (200d nylon + black polyester x-ply at 22 + 0.25mil PET film +50d polyester taffeta backing) resulting in outstanding waterproofness and shearing strength for its weight. • Holds boarding pass, passport, mobile phone and cards. SURFACE MINI is a smaller version of SURFACE. 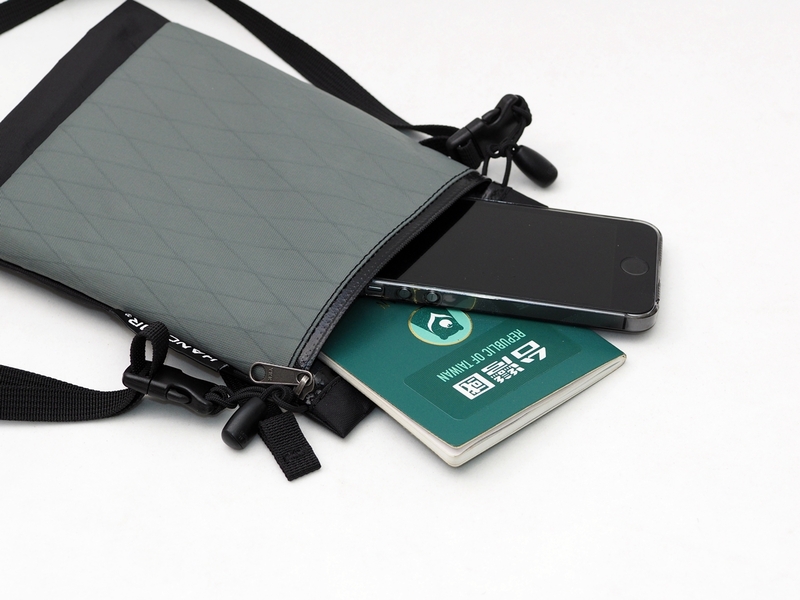 It is suitable for daily usage or for traveling. 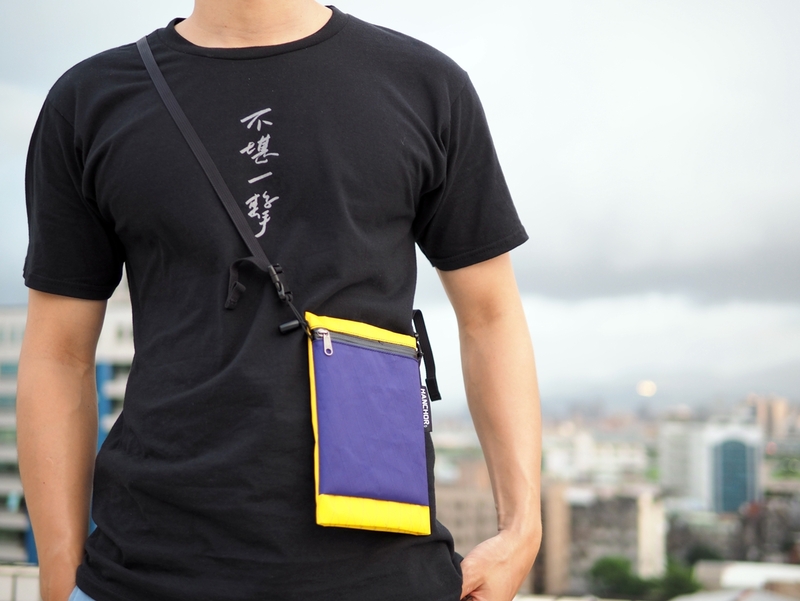 Sizing good for carrying wallet, mobile phone, passport, power, and keys..., etc. 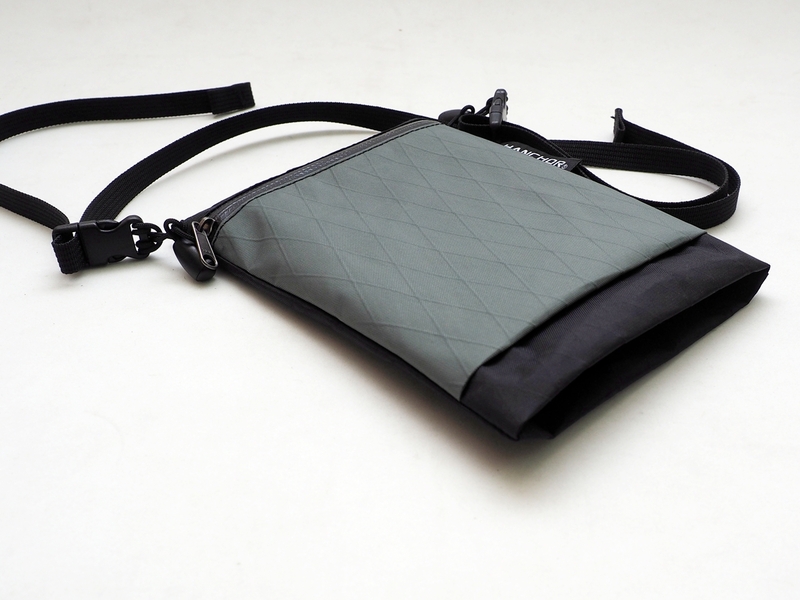 One inner pocket in main compartment helps to keep you organized. 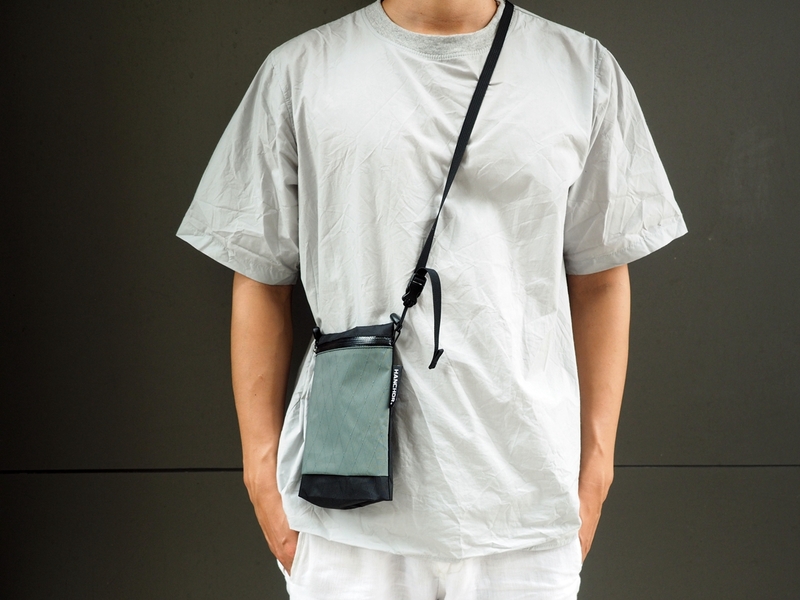 Only 50g including shoulder strap, Light and super easy to carry while travelling.